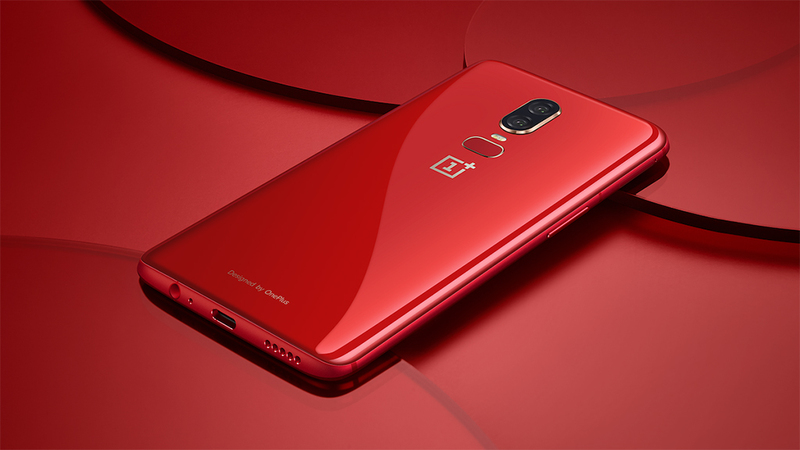 The rumors were true – the stylish red edition of the OnePlus 6 is officially on the way, and you&apos;ll be able to pick it up from July 10. Featuring a metallic red shimmer on a translucent orange layer, the red OnePlus 6 boasts an additional anti-reflective layer on its glass that helps to create a sense of depth and adds a glossy radiance to its color. Available with 128GB of storage and 8GB of RAM, the limited-edition red OnePlus 6 will be available exclusively in the US and Europe from the OnePlus website for $579 / £519. As for its other specs, the OnePlus 6 packs the latest Snapdragon 845 chipset, a 16MP + 20MP dual camera setup, and a notch-bearing 6.28-inch AMOLED display (1080 x 2280) with a 19:9 aspect ratio. At present, there&apos;s no word on whether the standard OnePlus 6 will receive an Australian release, but we&apos;ll make sure to let you know if the situation changes. You can check out the gorgeous OnePlus 6 red edition from every conceivable angle in the official announcement video below.